Plants help to liven up your space along with bringing a sense of positivity and connect with nature. Also, bringing the outdoors inside gives your eye the much-needed breather from concrete and plaster. If you are looking to give a nature inspired energised makeover to your interior space we have put together 10 creative planter ideas that will help you go green in style. From hanging to mounted, pick the ones that suit your preference and complement the interior decor of your space. 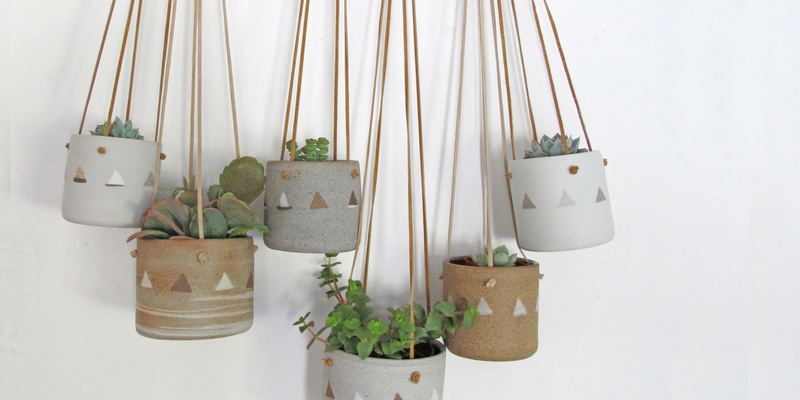 These rope suspended planters are best fit if you are looking to add a Bohemian, retro and a timeless touch to your place. 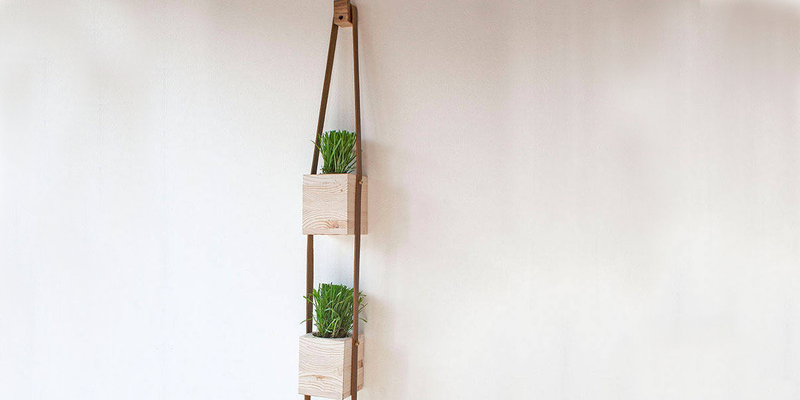 Suspended in length these planters help to add a sense of depth and dimension to your home. Very unique in design and a great addition to modern and classic interiors, these jellyfish planters are worth the purchase. Sea urchin shells form the body of the jellyfish and the long tendrils of the tillandsia air plants represent the tentacles. Hang them in the house and you can enjoy your personal floating jellyfish. 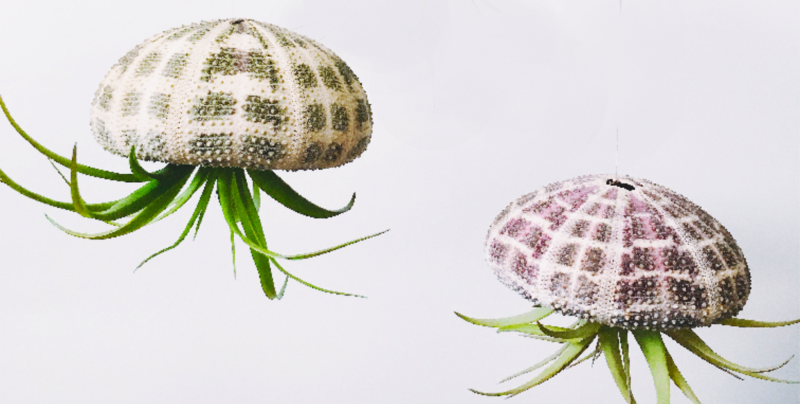 Planters with legs is an unusual take on the conventional style of the planters. You can decorate these planters on a stool or as it is on the corner of the room for some colour and greenery. 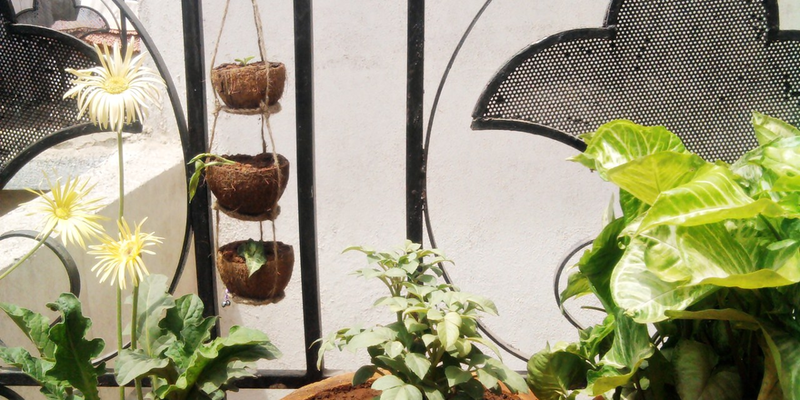 Ever wished to cook in a garden with all the natural and fresh ingredients and herbs, well in that case, overhead hanging planters are the answer. 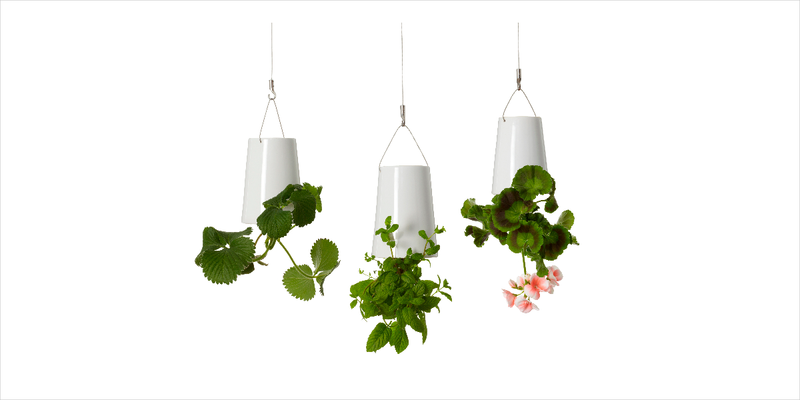 Overhead hanging planters are one of the most multifunctional and creative ways to grow a garden right in your culinary space. Contrary to the common upside down planters, these high-quality ceramic planters are carefully designed to keep the plants fresh and the soil in place. Simple and classic in its style, these wood and leather hanging planters are a minimal and perfect piece for air plants. The design of the planters allows it to complement every style of interior decor. The current popular geometrical shapes trend has finally made its way to the organic world and we couldn’t be happier. 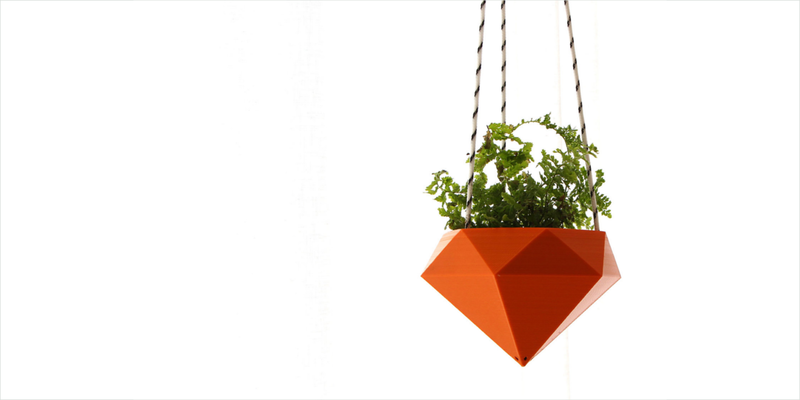 Available in bright and subtle shades, the geometric shaped planters combines the best of both worlds. 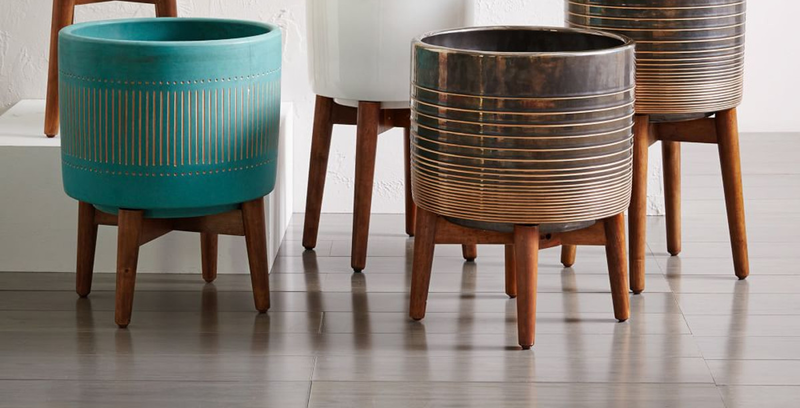 A classic upgrade to the regular round or rectangle shaped planters, these geometric shapes bring some interest and personality to your space. Shaped in the form of a vivarium, these planters made out of glass with flat bottoms and twine hangers are an attractive piece to actually make your plants a decorative piece for your home. 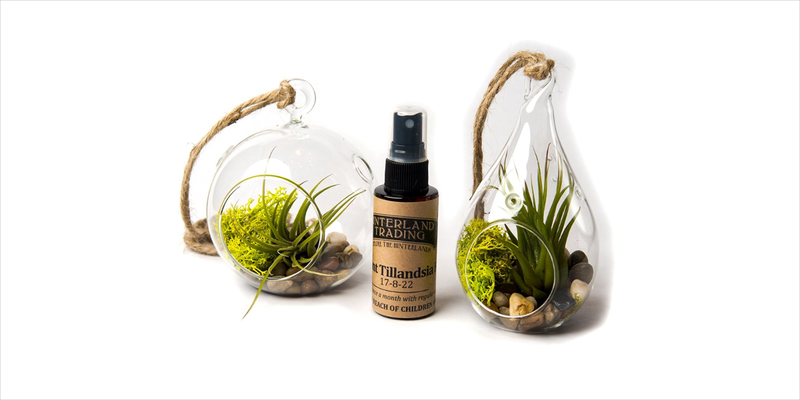 Include some pebbles and live green moss and a spritz bottle of air plant fertiliser to keep your terrarium looking healthy for years. Give your nature a case of nature. These dry coconut shell planters are a beautiful and earthy pieces created by hand to compliment your tropical, bohemian, or Asian style interior decor of your place. 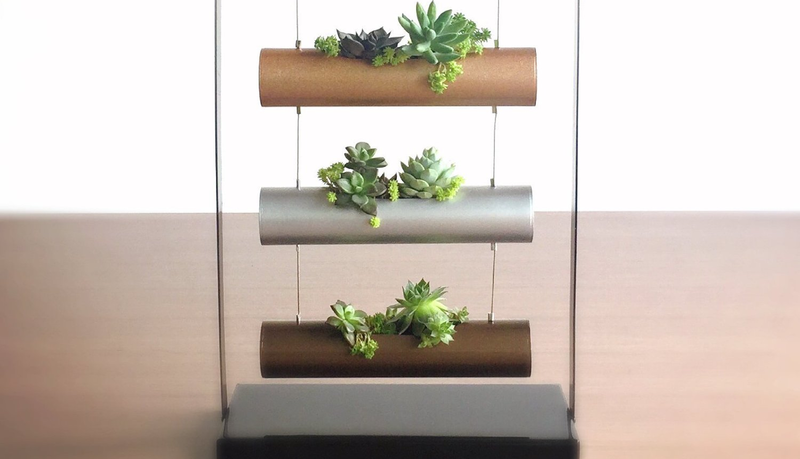 Vertical succulent planters are perfect for small spaces. Available in universal shades of brass, silver and bronze hues, they make for a great decorative piece for your modern interior decor. 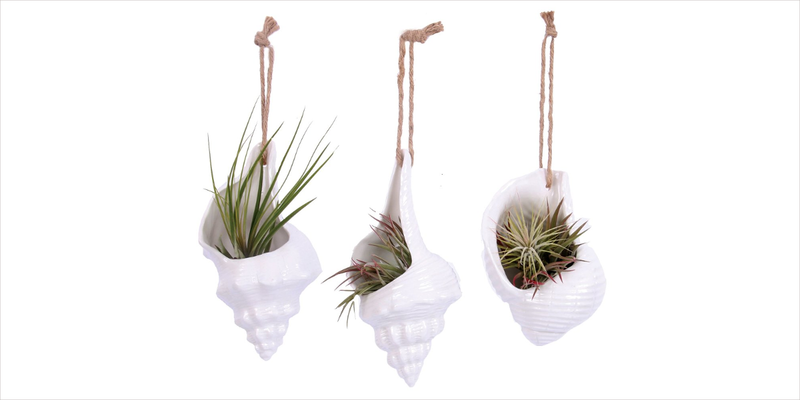 Made of ceramic these shell shaped planters go well with multiple styles of decor. Nautical themes are quite popular in bathrooms and kitchen as air plants grow even better with extra humidity. Whether you are looking to give some green love to your office cubicle or your living room these stylish planters will definitely make up for a beautiful home garden, irrespective of your personal style.